Conveniently located in Fairhaven, Massachusetts, we provide our services to communities reaching from Cape Cod to Providence. From home heating oil to commercial oil and fuel delivery on land and sea, Guard Oil offers competitive pricing and first-rate services for every client we serve. 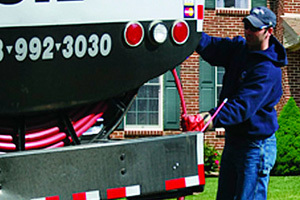 Our team is available 24-hours a day, 7-days a week, in order to accommodate all of your heating and fueling needs. Guard Oil provides all premium heating oil fuels to residential clients and services to commercial clients who rely on fuel for diesel and utility vehicles. We also specialize in commercial marine services, with the ability to provide over 10,500 gallons to large boats, yachts and military vessels. We are US Coast Guard certified and take pride in our ability to provide top quality services to so many diverse clients throughout the local area. On-time delivery, quality service and competitive pricing. What are you waiting for? Give us a call at 508-992-3030 to get a no obligation free quote and become a Guard Oil customer today!